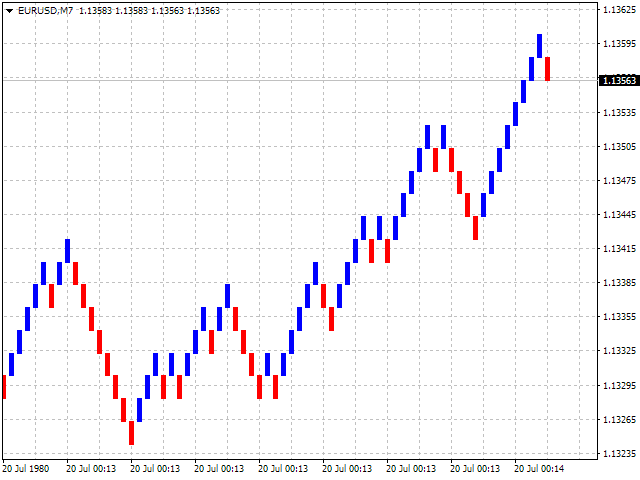 Renko Chart MT4 creates an autonomous Renko chart where all bars are shown as Renko "bricks" with no wicks. The size of the "bricks" is specified in the settings. The autonomous Renko chart is displayed not only on history, but also online. The chart is updated at least every three seconds. Find out more about Renko chart plotting principles and examine the open Renko Chart MT4 source code in the article "How to develop a non-standard chart indicator for Market" (in Russian as of 28.04.2016; to be translated into English soon). 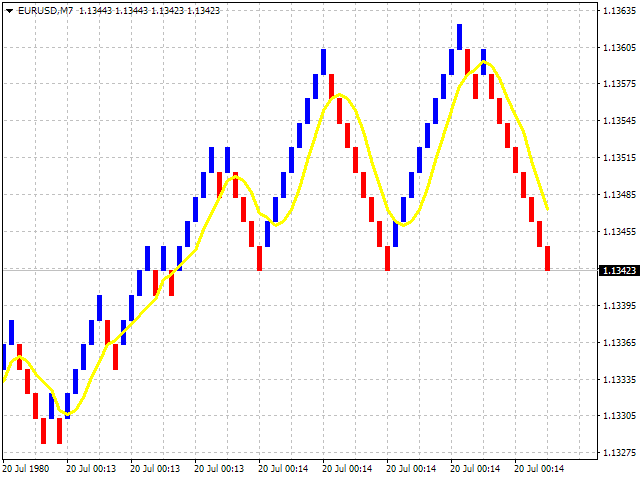 Gotta love the Renko chart. Nice job. Thanks for sharing it free. Отлично работает в текущем терминале. Спасибо за индикатор.